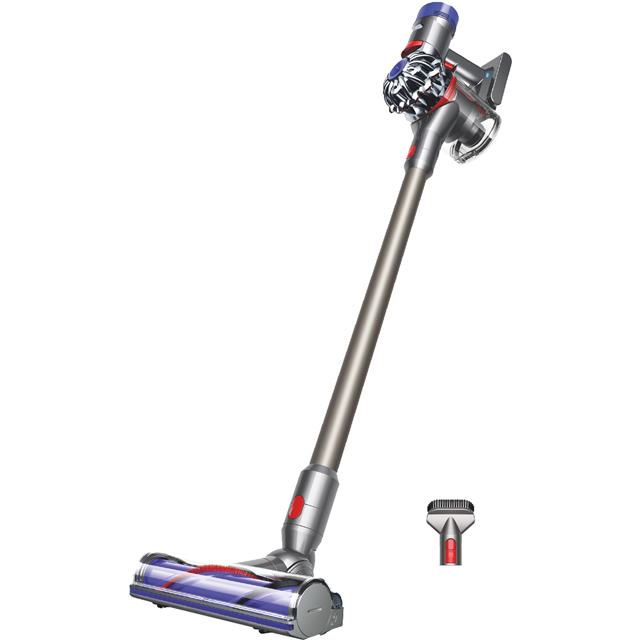 Leave your whole home perfectly spotless with this Dyson cordless vacuum cleaner. Because it has a 40 minute run time from a single charge, you’ll have plenty of time to give every room a thorough clean before it needs powering up again. The direct drive cleaner head has strong bristles that easily pick up ground-in dirt from your carpets. Plus, it also comes with a flexi crevice tool which effortlessly extends and bends, helping you reach awkward spaces like down the side of the sofa. As the washable filter captures allergens from the air, hay fever sufferers can breathe easier. Then, when you’re satisfied with the results, you can empty the vacuum’s dustbin at the touch of a button.